It's World Vegetarian Day, so to celebrate, take a look at some of the most high profile veggies and vegans in rock. Not only does the Meat Is Murder singer not eat his friends, he doesn't like their bi-products either. 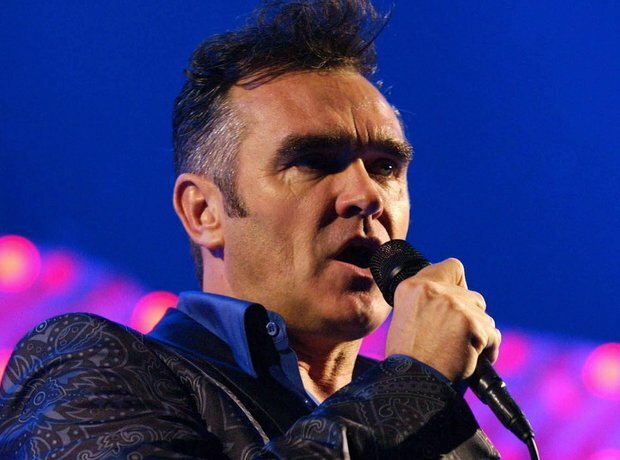 Morrissey's bandmate is quoted by the Clash as saying inspiring people to become vegetarians is "one of the things (he is) most proud of." Eating meat is too much Trouble for Chris Martin. So he doesn't bother. Travis' Fran Healy probably hopes it always rains on BBQs. Listen To What The Man Said.... he says don't eat meat. The former Led Zeppelin guitarist has got a whole lotta love...for animals. Welcome To Paradise! Billy Joe doesn't wan't to be an American Idiot, so there are no bacon sandwiches here! Pearl Jam's Eddie Vedder wants to keep animals Alive. Thom Yorke thinks you're a real Creep if you eat meat. I Miss You... but only if you're a vegetarian, too. Blur fans won't...urrrgghhhh. We're punned out. You can insert your own here, but Damon Albarn is also a vegetarian.